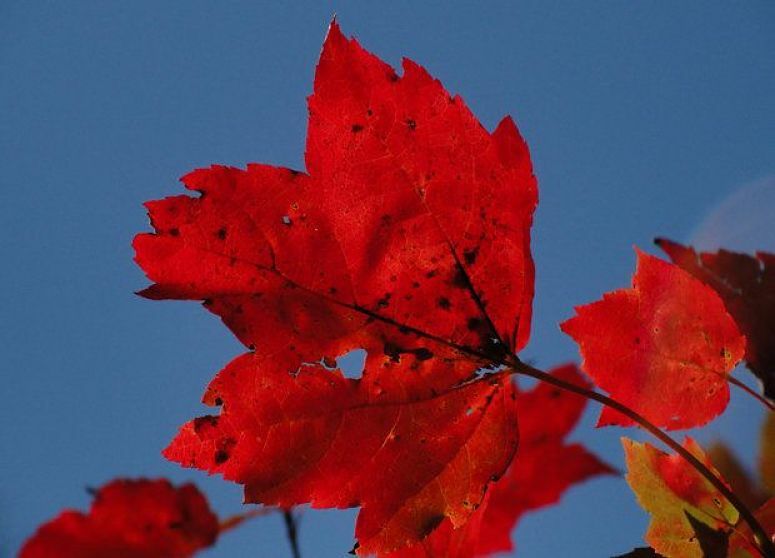 Red maple leaves in the Catskill Mountains. Photo Mike Greenlar for The Post Standard. Just a reminder that our Leaf Peepers Hands-On Art Tour to the Catskills and Cooperstown is coming up on Saturday, October 14, to Monday, October 16, departing from White Plains, NY. 25% of our spots are filled -- call or reply to this email now to reserve yours! So what is this "Leaf Peeper Hands-On Art Tour" all about, you may be asking yourself? It’s all about communing with art and nature and each other to create a satisfying 360-degree aesthetic experience in just one weekend. 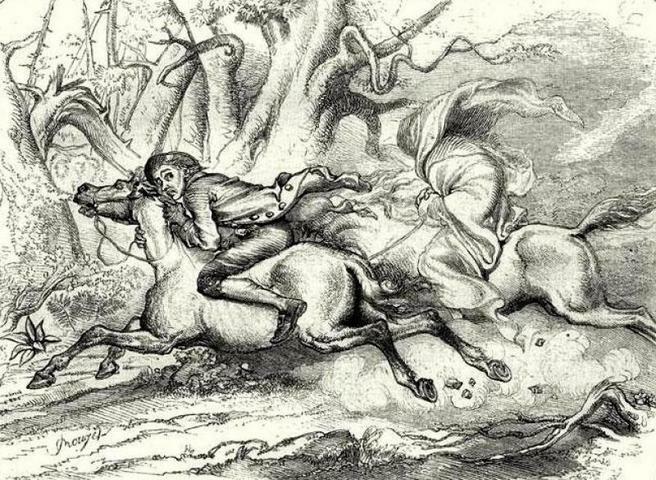 Do you dare enjoy a Sleepy Hollow Halloween??? Ichabod's Chase by F.O.C. Darley in Le Magasin Pittoresque, 1849. Halloween is coming up and with it the annual desperate scramble to find sold-out tickets, far flung parking spots, and surly cabdrivers to visit the multitude of events around Sleepy Hollow, New York, so as to not disappoint one's significant other once again. Avoid the hassle this year, come tour with us with your very own tour guide from Hell, Polly Esther! Leaf Peeper Hands-on Art Tour - Come play with us! The Fall foliage along the Kaaterskill Creek in the Catskill Mountain region of New York State. Join me, Liz Kemble, this Autumn for a beautiful Fall foliage drive into Rip Van Winkle and James Fenimore Cooper country as we explore – and make – art in the Catskills and beyond.In the Catskills, we’ll visit a few of the dozens of artists and galleries and we’ll get a chance to make our own, easy art: a slab pottery vessel (if you can roll out a pie crust, you can do this), a watercolor collage (you just need to tear and glue), and a print of delicate plants – just gather the plants and arrange them on paper and help the artist run them through a printing press as large as Rembrandt’s! This is a custom offering which is not available otherwise. The Mona Lisa in the Louvre, 1929. Did you know that Picasso was arrested under suspicion of colluding to steal the Mona Lisa? He had been staying in the lovely town of Céret in the Eastern Pyrenees in the summer of 1911, where he was in the throes of birthing Cubism. He arrived in early July at the suggestion of his friend and patron, Frank Haviland, and his fellow Catalonian Spanish artist, Manolo. By the end of July he was missing his lover, Fernande Olivier, and his friend and artistic collaborator, Georges Braque. A town crier similar to the one in Céret, France, in the 1950s. And just in time for Spring planning, we are announcing our 2018 Tour schedule! One of the great pleasures of travel for me is to see art, architecture, music, dancing, theater, etc. outside, in its natural element. For me, the place we visit IS the museum. Of these, viewing outdoor sculptures is perhaps my favorite. You can pass by and see a sculpture unexpectedly, then sit and contemplate it while you munch your sandwich on a park bench. I think a lot of art only enters our pores when we are not observing a painting or other work of art “on purpose,” with too much intent. It’s what horseback riders call using “soft eyes” – if you are focused too intently on something specific, you miss everything else, and you only see what you expect to see. Pam’s Memories of Paris: When in Paris…. We're dancing with joy! Photo Travellati Tours. I hope you will forgive me the occasional brag, but I can’t help sharing this lovely email I received from Pam, one of our guests on our last Papa’s Paris Tour in June. She loved it so much she not only plans to take another of our tours, but she would take our Papa’s Paris Tour all over again! Enjoy! “I was fortunate enough to travel to Paris this past June through Travellati Tours on the Hemingway themed tour, Papa's Paris, led by the organization’s founder, Liz Kemble. I was hooked last fall (late September 2016) when Liz described her travel business and the tour. Liz has been an acquaintance for several years, and I was confident in her ability to deliver what she offered. The "Place des Neufs Jets" in the town of Céret in the Pyrenees, “The Mecca of Cubism.” Dining at Le France café in Céret in the Pyrenees Mountains of France. Photo Travellati Tours. Today, the Tour de France travels from the elegant valley town of Pau to the mountain town of Peyragudes in the rugged High Pyrenees. At its most brutal, this tour travels from an altitude of 1640 feet to that of 5758 feet within a distance of 24 miles. I can relate to some extent as I crossed that area by bicycle in 1982, though not that exact route. My ex-husband and I were doing a 5-month, 5-country bicycle tour of Europe on a shoestring budget, camping out and cooking on our little camp stove. We traveled along the southern coast of France from the Camargue region, famous for its cowboys, to the peaceful seaside town of Banyuls, the second to last town before the Spanish border. Picasso spent several weeks in the Spring/Summer of 1911, 1912, and 1913 in the little town of Céret in the foothills of the eastern Pyrenees, within an hour of the Mediterranean. He came at the invitation of art patron and artist Frank Haviland, who had been introduced to Céret by local sculptor Manolo Huguet/Hugué (aka “Manolo”). Picasso brought along his buddy and art collaborator, Georges Braque, with whom he was developing a revolutionary art form: cubism.